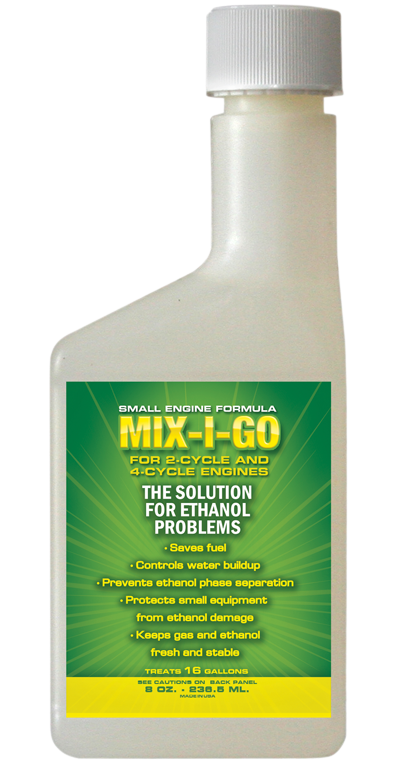 Solve Ethanol Problems and Improve Your Gasoline - Treat Them with Mix-I-Go or Ethanol Defense. It's even more important than ever before to treat E10 and E15 ethanol-blend fuels with a quality fuel additive. So what's a consumer to do? Since it's nearly impossibe to find ethanol-free gas, the only other option is to prevent problems with the best fuel treatments for ethanol on the market today. So what’s in a name? 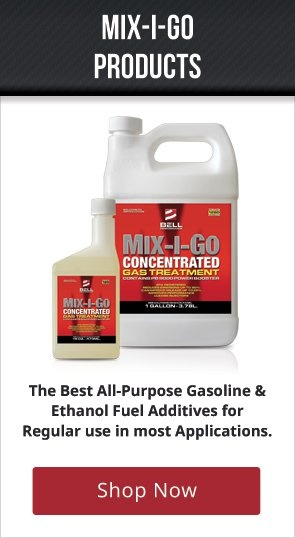 The name MIX-I-GO is the father of the automobile fuel additive industry in the United States and has come to mean quality and commercial-grade performance for everyone who uses it, whether Sunday driver or commercial fleets running on ethanol. Today, there is a MIX-I-GO formulation for whatever you need to treat. 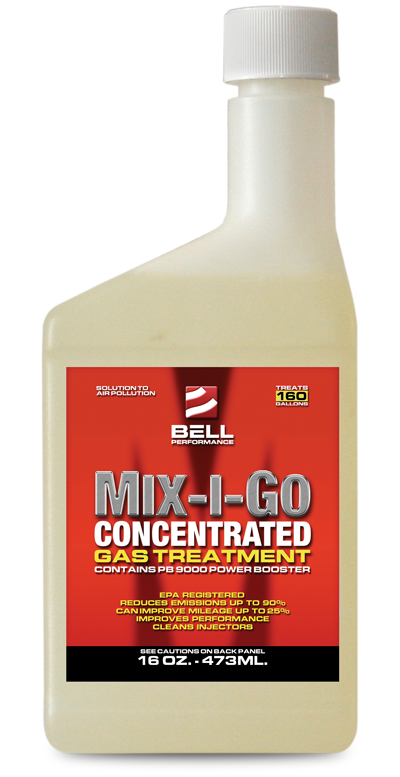 MIX-I-GO can be used in any kind of gasoline-powered engine, and are especially suitable for engines and vehicles burning any of the ethanol blends in the marketplace today. If you want the best all-purpose gasoline fuel additives for regular use in most applications, MIX-I-GO is the one for you! MIX-I-GO is available in a range of products specific to your needs. 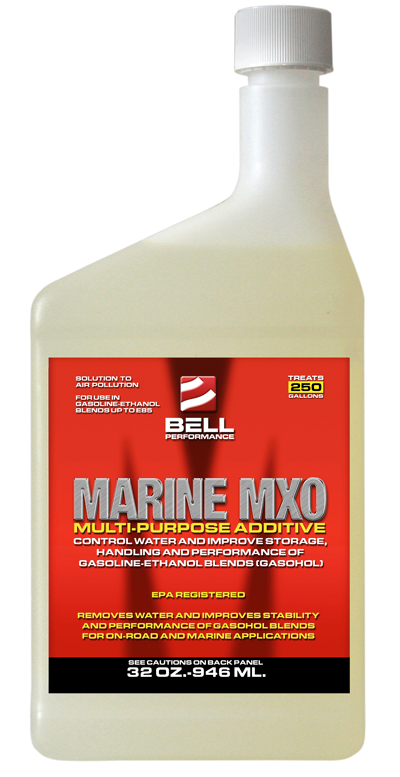 MIX-I-GO Small Engine Formula and Marine MXO bring the power of MIX-I-GO to your equipment with 2-cycle engines and watercraft. And what's in the ETHANOL DEFENSE name? Only the best multi-function ethanol treatment combined with the best commercial-grade water controller and absorbers on the market today. 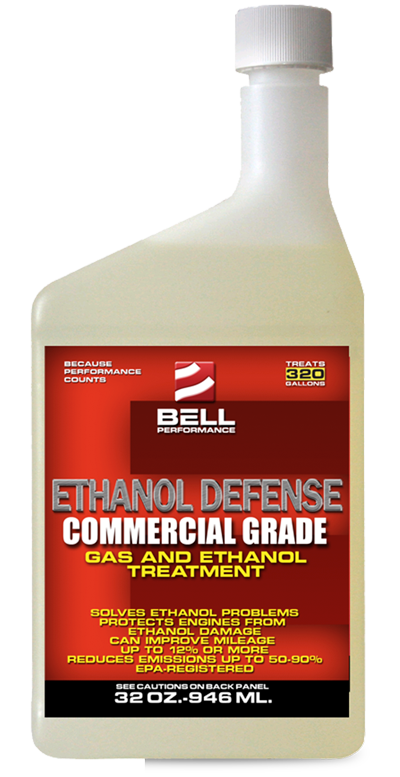 Ethanol Defense combines proven combustion improvement, detergency and alcohol-free ethanol protection with the best professional-strength water-absorbing power. 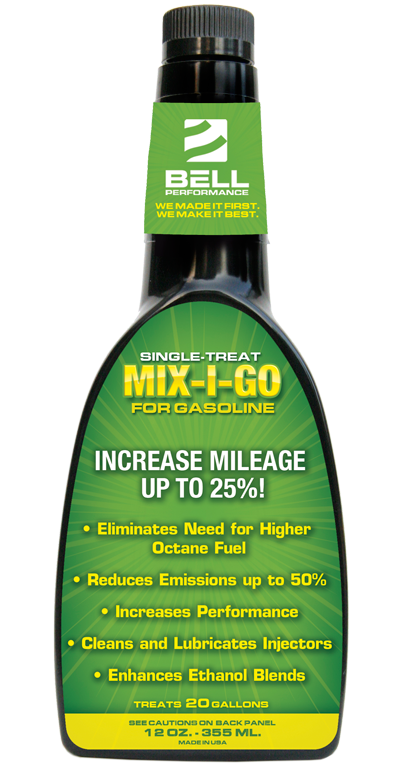 Mix-I-Go Concentrate is the commercial-grade multi-function solution for gasoline and ethanol issues. Multi-purpose solution for ethanol problems in small engines and equipment. Offers all of the benefits that MIX-I-GO CONCENTRATE offers, but in a convenient 12 oz. one-dose bottle formulated to treat one full tank of gas/ethanol in most vehicles.